The most important thing to consider is the services the MSSP offers. 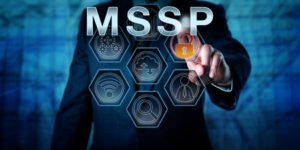 MSSPs provide a variety of different security services, some of the most notable being anti-virus, data loss prevention, firewall, and security updates, just to name a few. They also may provide training for employees on security threat prevention. First, you’ll need to determine which services your company needs, and then look for a provider that offers them. Another important thing to consider is whether the company has experience in your industry or not. Your cyber security needs in Orange County are going to be largely dependent on the industry your company works in, and it’s difficult for an MSSP to help you with these specific challenges if they don’t have any experience in your field. With so many MSSPs out there, it’s absolutely crucial that you choose one with a reputation for good work. Once you’ve found some potential MSSPs that offer the services you need, be sure to research them online to see how they’ve performed in the past. You may even want to contact other companies in your industry that have used them to see what they thought. Any IT support firm in Orange County that offers MSSP services needs to have the technical capability to keep your company’s data and systems safe. Your specific security needs will be unique to your company, but it’s crucial that your MSSP offers the latest technology to support it. IT services are expensive, so before contracting with an MSSP, be sure to determine how much you can afford to spend on your IT services. You should also research realistic pricing for your specific needs, so you know what to expect. The average MSSP service will cost your company roughly $75,000 a year, but this may change depending on exactly what your company needs. Finally, you should have a meeting with your potential IT provider to discuss how they can strengthen your security measures and streamline your IT process. It’s important that they can clearly and articulately explain to you exactly what they will be able to do to address your security needs. For the service to be worth it, they should make the challenge of keeping your data safe much easier to manage. If you don’t have an MSSP, it’s important that your company invest in one soon. Digital security threats are very real and can be detrimental to any company. Contact us at Intelecis, Inc. to learn more about MSSPs and other IT support services in Orange County.